The collaboration comes to us from the Council of Fashion Designers of America, or CFDA, which is a non-profit organization that furthers the recognition of U.S. fashion designers. 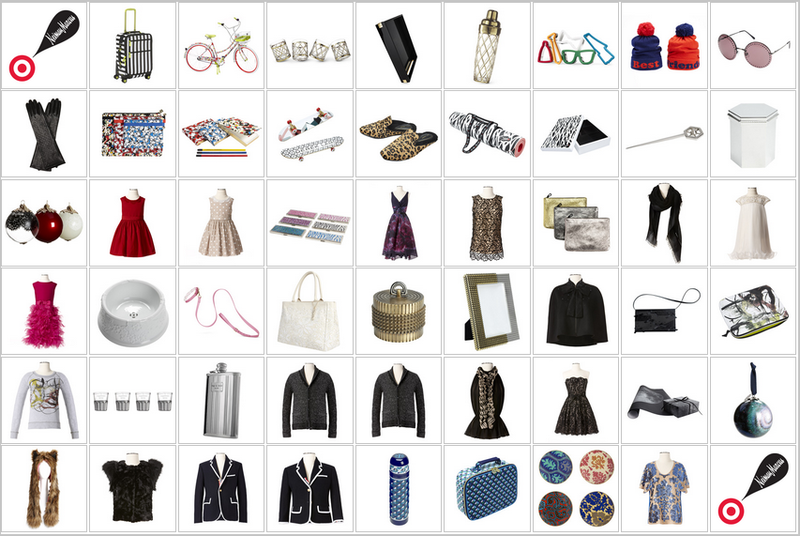 With it being the 50th anniversary of the CFDA, what better way to celebrate than to offer 50 different holiday gifts from 24 notable fashion designers between 2 great stores. I'm so happy about the list of designers in this collab. My only qualm is that the Marchesa ladies only designed dresses for little girls...little dresses that I could never fit in no matter how much I tried. Isn't it great that there are so many options--from clothing to home goods--from so many different design styles? And you can choose to shop at Neiman Marcus, Target or either store online. Please tell me that you'll be doing some holiday shopping from one of these 24 designers this weekend? P.S. Head on over to the Neiman website for a chance to win the ENTIRE collection! That's $5,000 worth of 51 items that work for you, for him, for little ones, for pup-stars and for the home. What a brilliant collaboration! So many amazing designers in one place and the affordability of this range makes it even better, How I wish we had access to this collection here...wonder if its available online? Oh my gosh it looks amazing! Unfortunately I won't be able to get to target at 8 am tomorrow. Sigh. Oh, there are so many good designers, but will have to agree with you on the Marchesa dresses! I love that they have Oscar de la Renta and Derek Lam! Have a great weekend! MmmK I've decided I need everything from this collection. It all looks so good. I'll definitely have to trek to Target early. I have a feeling this will be like the Nate Berkus (sp) fiasco where everything was gone in 24hrs lOl. I was going to go to Target on Sunday to buy Xmas presents...I hope the store isn't too busy with these items on sale. I might peruse, but not necessarily buy. They are super nice and cute though! So excited about this collaboration, especially Jason Wu and Tory Burch! Thank you for stopping by...wishing you well this weekend! I had bike riding. But I would bike ride EVERYWHERE if I had that freaking bike, let's be real. SO. EFFING. FABULOUS. I went...I saw...and I didn't buy anything. 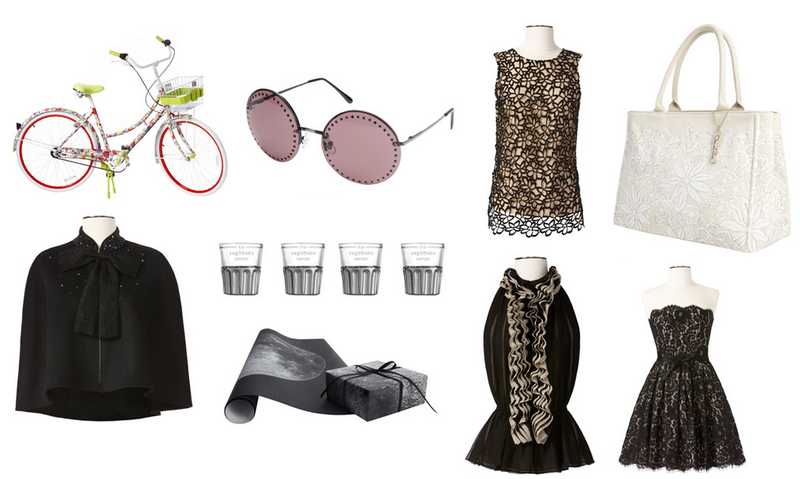 About the only thing I liked was the embroidered lace lela rose top which the XS was waaaaay too big and the altuzarra glasses, which I didn't think I needed to spend $50 on a set of 4. You should have seen the faces on the NM associates since the line was available at the high end dept store that day. I overheard 1 associate say to another in a very annoyed tone of voice, "can this day just be OVER?" rolling his eyes. So glad you got the pieces you wanted Cheryl. I loved all of the dresses both for women and children. yes... i love that there are so many options! !